I have a weight problem. Except for two very brief periods of my life when other things were horribly wrong and I was deeply depressed and not eating much at all, I have been overweight. It’s catching up with me now, however, and my knees, feet and back have all become chronic complainers. I’m hoping with the move to the new house I begin to move more. Heck, how could I not? Just walking from one end of the house to the other is the equivalent of walking to the mailbox in the other house! The mailbox from this front door is one third of a mile. So, yes, I will be getting more exercise. Now that I’m painting more, I’m also standing up at the easel more and moving my arms more. So it’s all good. Now to get my eating under control. So, it’s time to eat more fruit, fewer breads and crackers and just less of everything over all. So here is to fruit. 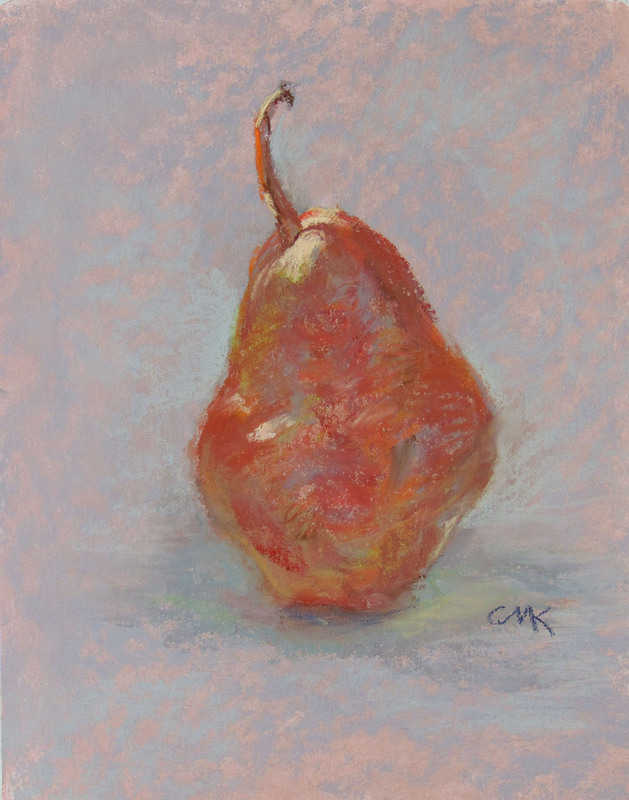 This is the second pear I’ve chosen to paint. The first one is already up for sale at Daily Paintworks. This is Pear #2. Click to Bid.